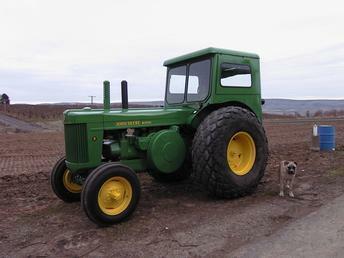 The John Deere Model R tractor was the breakout star of its time. It was bigger, better, and stronger than anything that had come before and it offered features exclusive to the Deere line. As the first John Deere diesel-powered tractor, the Model R changed the face of John Deere agricultural machinery forever. For more than 10 years, the engineers at Deere researched and developed the John Deere Model R until it was released in 1949 at a selling price of $3,700. Throughout the duration of its five-year production, the Model R was known for its power and performance on large farms, with an ability to haul up to 6,644 pounds in low gear and reach a road speed of 11.5 mph in fifth. The innovative design of the John Deere Model R tractor featured two engines—the 416-cubic inch diesel-fired engine along with a two-cylinder, gasoline-fired starter engine. The dual engines resolved two significant starting difficulties often seen in diesel engines; operators could start the engine with the pull of a lever, rather than manually turning the flywheel, and had the capacity to warm-up the engine quickly in cold temperatures. 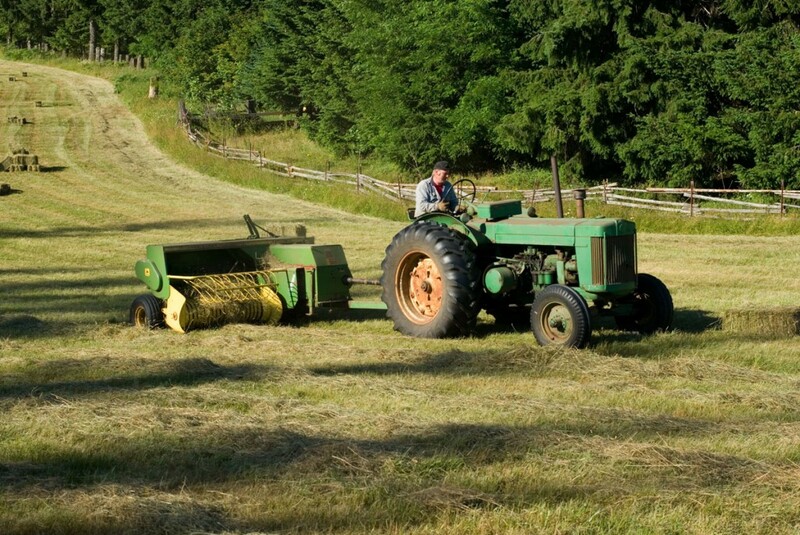 Power steering and an enclosed steel cab made the Deere Model R a desirable investment for farmers not only looking to increase productivity and efficiency but to decrease cost and physical toll. 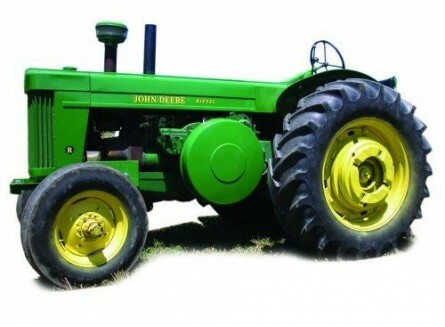 The John Deere Model R marked the end of the lettered-series tractors, which began with the Model A Tractor; the lettered-series tractors have been substituted with model numbers ever since. Today, an antique Model R tractor in good condition would likely be auctioned off at around $7,000–8,000. While the Model R is a popular collectable machine, the more sought after is the John Deere 40 Special, which can go for 30-50% more than the Model R.
Although the Model R was not the first tractor to use a diesel engine, it was arguably the most effective of its time. The Model R marked a significant turning point in how the John Deere Company designed all of its future agriculture equipment. If you enjoyed this post, check out more like it on our Facebook page!